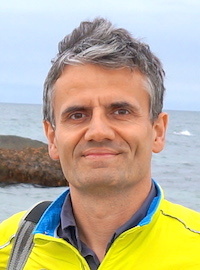 I'm an full professor affiliated to Institute of Computing Science, Poznan University of Technology, where I head the Computational Intelligence Group within the Laboratory of Intelligent Decision Support Systems. My main fields of interest are program synthesis, machine learning and pattern recognition. See Research and Publications for more details, and my profiles: ResearchGate, DBLP, Google Scholar, ResearcherID, ACM, LinkedIn. "Ain't Nobody Got Time For Coding: Structure-Aware Program Synthesis From Natural Language", by my students Jakub Bednarek, Karol Piaskowski, and me. Together with Paweł Liskowski and Wojciech Jaśkowski, we designed a move predictor for the game of Othello based on a deep neural network that defeats all other 1-ply Othello players proposed to date. The paper, accepted for publication in IEEE Transactions on Games, is available here. Our study Segmenting Retinal Blood Vessels with Deep Neural Networks is among the 20 most often downloaded papers in IEEE Transactions of Medical Imaging. Our paper Counterexample-Driven Genetic Programming, by Iwo Błądek, Jerry Swan and me, won the Best Paper Award at the Genetic and Evolutionary Computation Conference (GECCO'17). The source code we've used to conduct the experiment is available on GitHub. According to Springer, the were almost 3000 downloads of the chapters from my book Behavioral Program Synthesis with Genetic Programming (Springer 2016). For the third year in a row, together with Malcolm Heywood, we'll be giving the tutorial Solving complex problems with coevolutionary algorithms at GECCO'17. Released SwiM (Synthesis with Metaheuristics) - a Scala library for program synthesis using metaheuristics, in particular with genetic programming. The deep neural network approach we designed with my PhD student Paweł Liskowski provides best-to-date segmentation of retinal blood vessel networks in ophthalmological imaging (fundus imaging), outperforming over 70 other methods designed to date. More details in our paper Segmenting Retinal Blood Vessels with Deep Neural Networks, accepted for publication in IEEE Transactions on Medical Imaging. See this page for the online accompanying material. My book Behavioral Program Synthesis with Genetic Programming (Springer 2016) is out! Together with Malcolm Heywood, we gave a tutorial Solving complex problems with coevolutionary algorithms at GECCO'15. The slides are available here. Together with Alberto Moraglio, we gave a tutorial Semantic Genetic Programming at GECCO'15. The slides are available here. The initiative of metaheuristic standardization. More details soon on the Metaheuristics in the Large website. This winter, I gave a series of lectures on program synthesis and genetic programming at University of Warsaw. The slides are available here. Together with Chris Simons, Jerry Swan, Daniel Tauritz, and Jim Smith, we are organizing MetaDeeP 2015, a workshop on Metaheuristic Design Patterns, collocated with GECCO, Genetic and Evolutionary Computation Conference, in Madrid, Spain, 11-15 July 2015. The thesis of my PhD student, Marcin Szubert, entitled "Coevolutionary Shaping for Reinforcement Learning", received first prize in the contest organized by the Polish Artificial Intelligence Society. More details here. Together with Colin Johnson, Alberto Moraglio, and Michael O'Neill, we are organizing the second edition of the workshop on Semantic Methods in Genetic Programming, this time collocated with the GECCO'15 conference. My joint paper with Una-May O'Reilly ''Behavioral Programming: A Broader and More Detailed Take on Semantic GP" won the Best Paper Award in the Genetic Programming track of the GECCO'14 conference. 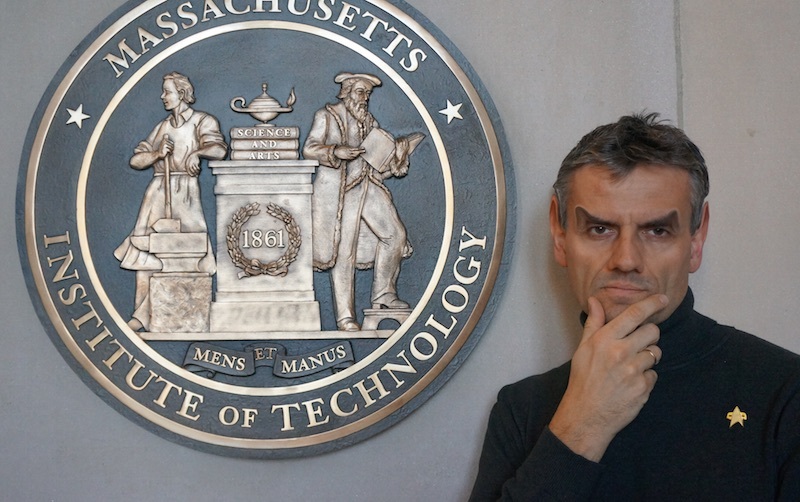 From Sept'13 till Feb'14, I was a Fulbright Visiting Scholar at Computer Science and Artificial Intelligence Laboratory (CSAIL) at Massachusetts Institute of Technology (MIT), working in the ALFA group directed by Professor Una-May O'Reilly. Together with Jerry Swan, John Clark, Chris Simons, and John Woodward, we are organizing MDP 2014, a workshop on Metaheuristic Design Patterns, collocated with GECCO, Genetic and Evolutionary Computation Conference, in Vancouver, Canada, 12-16 July 2014. Together with Miguel Nicolau, we were co-chairing EuroGP 2014, 17th European Conference on Genetic Programming, part of Evo*, Granada, Spain, 23-25 April. Together with Gisele L. Pappa, John Woodward, and Jerry Swan, we are organizing 3rd Workshop on Evolutionary Computation for the Automated Design of Algorithms at GECCO 2013. Details here. The thesis of my former PhD student, Wojciech Jaśkowski, entitled "Algorithms for Test-based Problems", received distinction in the first contest organized by the Polish Artificial Intelligence Society. More details here. Our position evaluation function for the game of Othello (epTDLmpx_12x6) , developed by my student Marcin Szubert, ranks first in the Othello Position Evaluation Function League, organized by Simon Lucas and his team at University of Essex, UK. The MIT Alfa group published the new release of the FlexGP framework, which includes also the implementation of Multiple Regression Genetic Programming, a method we described in this GECCO paper.